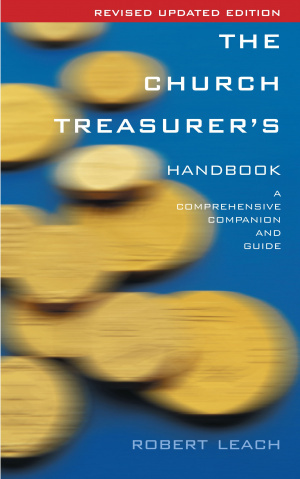 The Church Treasurer's Handbook is a clear, user-friendly, comprehensive guide to the duties and responsibilities of church and charity treasurers and will prove a godsend to all who undertake this task which, though voluntary, demands a high level of professionalism due to the increasingly stringent requirements of the Charity Commissioners. This new edition includes all the latest updates on accounting, banking, expenses, tax, insurance, charity law, employment and fund-raising and the many new issues affecting churches and charities: Gift Aid and the changes in tax rates, new tax rules for substantial donors, new accounting guidance for bodies with a turnover of above GBP250,000, amended definitions of what constitutes a charity's income, changes to pensions, implications of new water charges for churches, postal rates and how to calculate them, diagrams, 'Tips for Treasurers', and a glossary of terms and other features make this an indispensable guide. Notes on Scottish and Irish charity law are also included. The Church Treasurer's Handbook by Robert Leach was published by Canterbury Press in March 2012 and is our 20254th best seller. The ISBN for The Church Treasurer's Handbook is 9781848250192. Reading the Church Treasurer's Handbook was like a breadth of fresh air. There was at last a very clear and easy to follow reference book, and an excellent point of information for new and experienced Treasurers alike. In the ideal world a copy should be issued to each Treasurer, as the book does not just cover the basic responsibilities but also areas that are hardly used for example risk assessment, Trusts and legal requirements. The content of the book very carefully balanced the needs of the ministry of the Church with the financial requirements, for example the place of finance in the administration of the church, Romans 12.7. Reference was also made to some theology on budgets and expenses, areas which PCCs are never keen to develop further but should know about, Matthew 6.24 - 34. My only concern on the whole book was reference was made on numerous occasions to 2005, and I feel that the information may go out of date very quickly, so Treasurers will need to be aware changes can happen. Finally I would commend the book to any one who is involved or is seriously thinking of taking on Church finances. How did we manage before! Review by Lay Canon Rosemary Lording, Treasurer of Leominster Deanery, and General Synod member. Got a question? No problem! Just click here to ask us about The Church Treasurer's Handbook. The law relating to charities differs between countries within the United Kingdom. In this regard, would this book be suitable for a treasurer of a charity registered in Scotland? A:Yes, this edition of The Church Treasurer's Handbook would indeed be suitable for Scottish purposes; it does cover the law as administered in England and Wales, but with supplemental notes to detail the differences applicable in Scotland and Ireland.